Several hotels in the Riviera Nayarit have tasty events lined up to celebrate Mexico's Independence Day. Nuevo Vallarta, Mexico - Independence Day celebrations are a deeply rooted tradition in Mexico and the Riviera Nayarit is front and center when it comes to reveling. These Independence Day festivities are the perfect excuse to spend a few days in Mexico's Pacific Treasure - especially since they fall on a weekend. Celebrations in the destination are very exciting and take place in a beach ambiance that's very different from other locations around the country. The Ceremonia del Grito (the official Independence Day "yell") happens in the plaza of all the coastal villages every September 15th accompanied by fireworks and verbenas. Associated hotels in the destination are ready with themed activities, including "Mexican Nights" that, in some cases, include tequila, Mariachi, traditional treats, and plenty of fun. There will also be spectacular dinners prepared by renowned chefs that will have you exclaiming: "¡Viva México!" Vidanta Nuevo Vallarta: ¡Viva México! Vidanta Nuevo Vallarta is extending an invite to celebrate Mexico's Independence Day with a stroll through our traditions via a traditional Mexican buffet, an open bar serving national brands, Mariachi and Jalisco folkloric ballet performances, contests, live transmission of El Grito at the National Palace, and lots of family fun! There will also be an exhibit of paintings of Mexico's cowboy tradition, known as Charrería, as well as a cartoon artist, petting zoo, fireless fireworks (paper effects), and much more. The event is open to guests as well as non-guests. The party will take place at the Vidanta Convention Center from 8 pm to midnight. Prices per person: Adults $1,250 MXN, children 4-12 $570 MXN, and $300 MXN for children under 3. For more information and reservations call (322) 226-4504. W Punta de Mita, famous for its vibrant design inspired by the Wixárica culture, will celebrate with a spectacular family-style dinner with participation of a Casa Patrón tequilier, who will pair three ultra-premium tequila labels. Dinner will be served on an imperial table for only 30 people starting at 7:00 pm in the Cevychería area. After dinner, at around 10:00 pm, a DJ will start spinning while you enjoy the evening with your new friends in matchless surroundings. This luxury hotel in Punta Mita has prepared a theme party to celebrate September 15th. Playa Las Cuevas will be transformed into a very traditional Mexican marketplace where everyone will gather to yell "¡Viva México!" The menu will feature some of Mexico's most traditional dishes including guacamole with sides such as chapulines (grasshoppers), crispy dried beef, chicharron (fried pork rinds), and mango; tuna ceviche and shrimp aguachile (marinated in lime), tortilla soup, and very Mexican tacos: birria de cordero (stewed lamb), slices of chile poblano with corn, chicken in mole sauce, mushrooms and epazote (an aromatic herb), and much more. Price for adults is $1,400 MXN, children $700 MXN + 16% taxes + 15% service charge. Alcoholic beverages are not included. More details at fourseasons.com/puntamita. The St. Regis Punta Mita Resort will offer two Mexican dinners on September 15th: one in the signature AAA Five-Diamond restaurant, Carolina, and another at the Sea Breeze Beach Club. Both will serve five-course menus. Carolina will whet its patrons' appetites with sea chicharrón (fried fish skin), green and black aguachile (seafood marinated in lime), and red tamal. The entrée is beef au jus and fish in a Nayarit bean sauce. Finally, patrons will enjoy a refreshing lemon sorbet, tequila and cocadas (Mexican coconut macaroons). 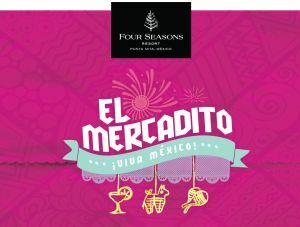 The Sea Breeze menu is also very tempting: corn salad with grenadine dressing; braised lobster with maguey leaf, battered huazontle (greens) with beef, and for dessert: plantain zarape with piloncillo (brown sugar cone) foam and Mexican sweets. Price is $750 MXN per person plus 31% tax and service charge. Celebrate El Grito with chefs Sergio Chávez and Pato Pérsico, followed a viewing party of the epic Canelo vs Golovkin fight, at Kupuri Beach Club. Party includes: Welcome Patrón Margarita, Mexican food stalls (snacks, tacos, ceviches, desserts, etc.) and cocktails around the pool, Mexican Trio. Adult price: $800 MXN + 15% service. Children's price: $300 MXN + 15% service. *20% discount for Club Punta Mita Members For more information or reservations call (329) 291-5168. Samba Vallarta has everything ready for September 15th with activities for the entire family. The Mexican Dinner will be held in the Garden Theater from 7 pm to 11 pm. It includes a Mexican buffet, a show by the hotel's folkloric ballet, and a maria chi; after 9 pm there will be music as well as live transmissions of the Ceremonia del Grito from Mexico City and the Canelo Álvarez vs Golovkin boxing match. Price per person is $899 MXN for adults and $359 MXN for children (7 to 12 years old). For reservations call (322) 226-8288. The party on September 15th will be a big one at Paradise Village: their Mexican Feria will include a buffet with traditional dishes, a bar offering national brands, Mariachi music, dance music by the band Candente, a folkloric dance show, raffles, and contests. 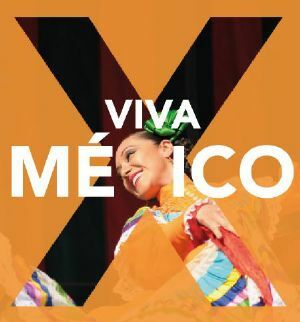 The event takes place in the Convention Center from 7 pm to 11 pm, where they will also transmit the Ceremonia del Grito live from Mexico City. Price per person is $535 MXN for adults, $270 MXN children (6 to 11) and $150 MXN toddlers (3-5). For reservations call 226-6770 Ext. 2066. 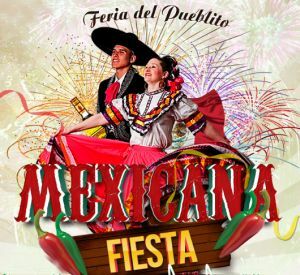 Marival Group has prepared a Mexican Festival to be celebrated next September 15th. Come and taste Mexican traditional dishes and specialties, marimba music, and a kermesse (marbles, rings, lottery, rondanas, hopscotch, etc. ), Mariachi and live streaming of the traditional yell of Mexican Independence from Mexico City. And, to end the party on a high note, Fireworks! Adult price: $999 MXN / Children price: (6-13 years) $500, taxes included. For reservations, subject to availability, call 52 (322) 226.820 ext. 4405 from 9:00 am to 5:00 pm Monday-Friday. The Riviera Nayarit Convention and Visitors Bureau and the Bahía de Banderas Hotel and Motel Association are hard at work to promote the destination with the support of the Government of the State of Nayarit via its Tourism Promotional Trust. 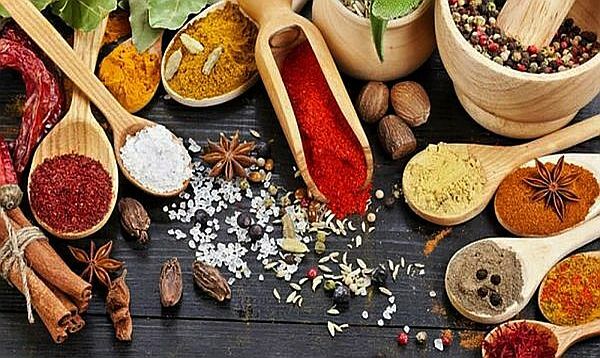 The destination's culinary product offer is a key asset for these promotional efforts.